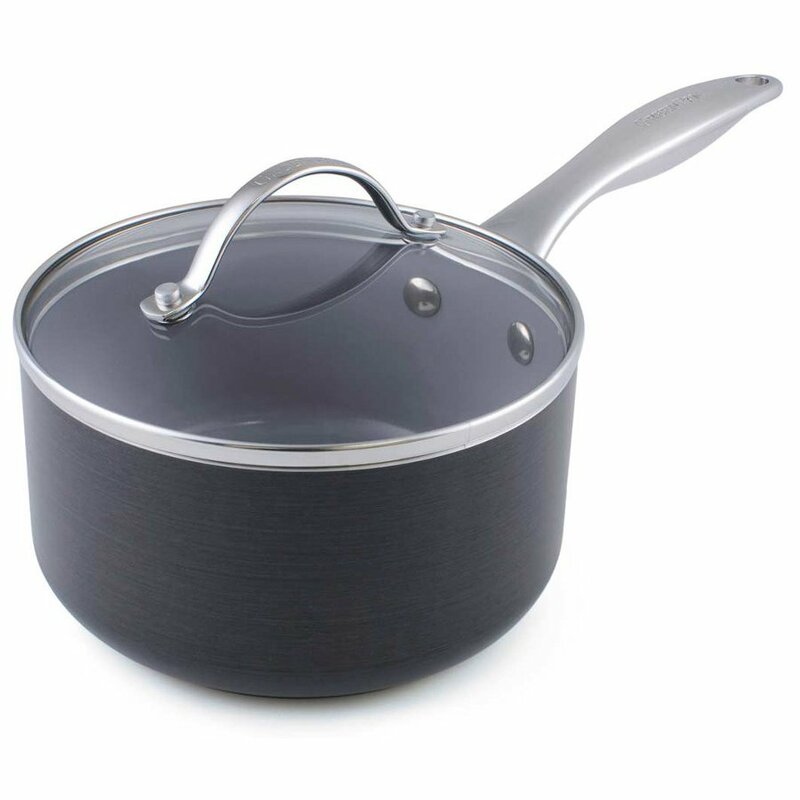 This induction compatible saucepan with removable lid is produced with an extra hard-wearing grey aluminium body for easy cleaning and toughness. 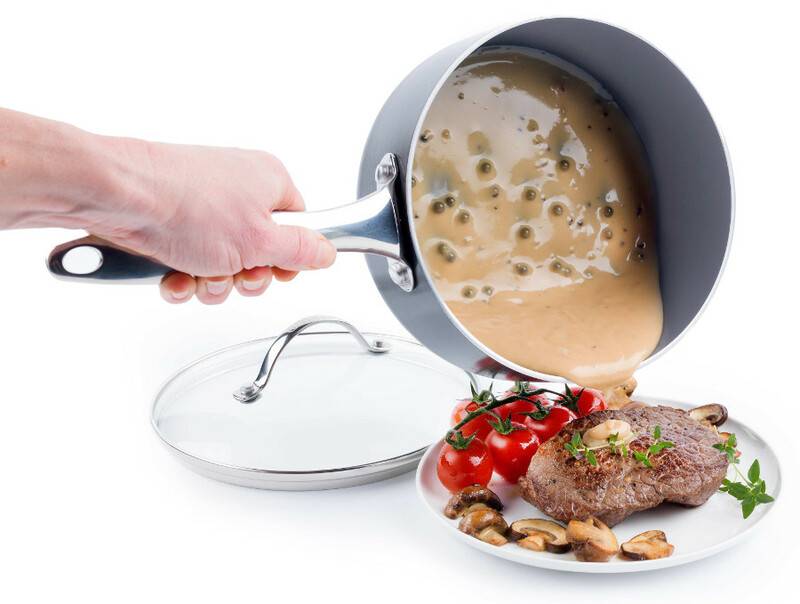 Its Thermolon™ non-stick coating is a better heat conductor than conventional coatings and contains no toxic chemicals or pollutants to make it safe to use and healthy. 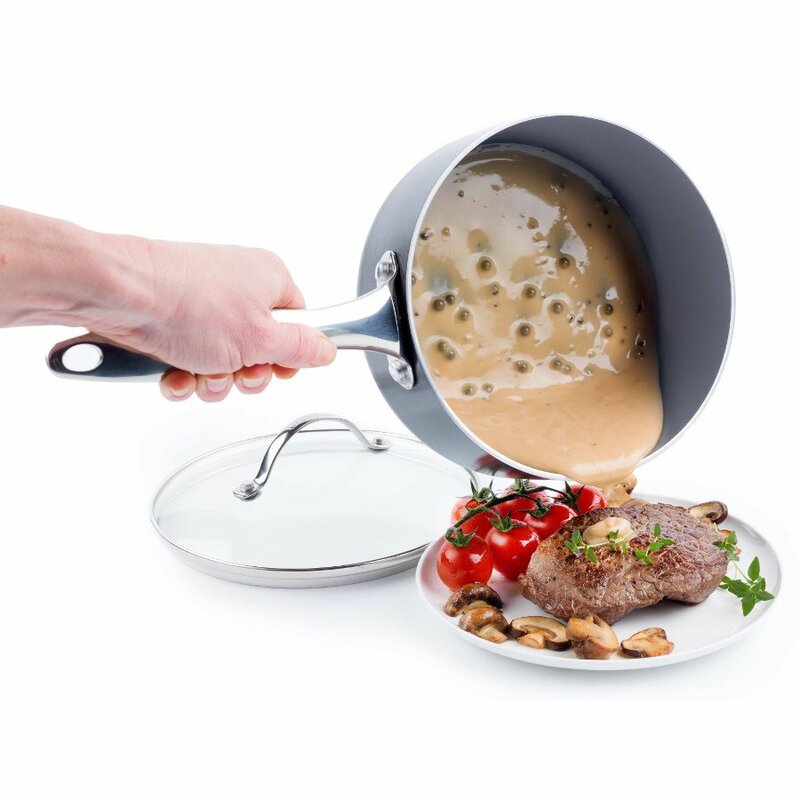 No toxic fumes will be given off; even when the pan is heated up to 450°C/850°F and the coating will not be damaged at all. It has an ergonomic stainless steel handle to decrease heat transfer and the oven safe stainless steel handle is riveted for an extra secure grip. 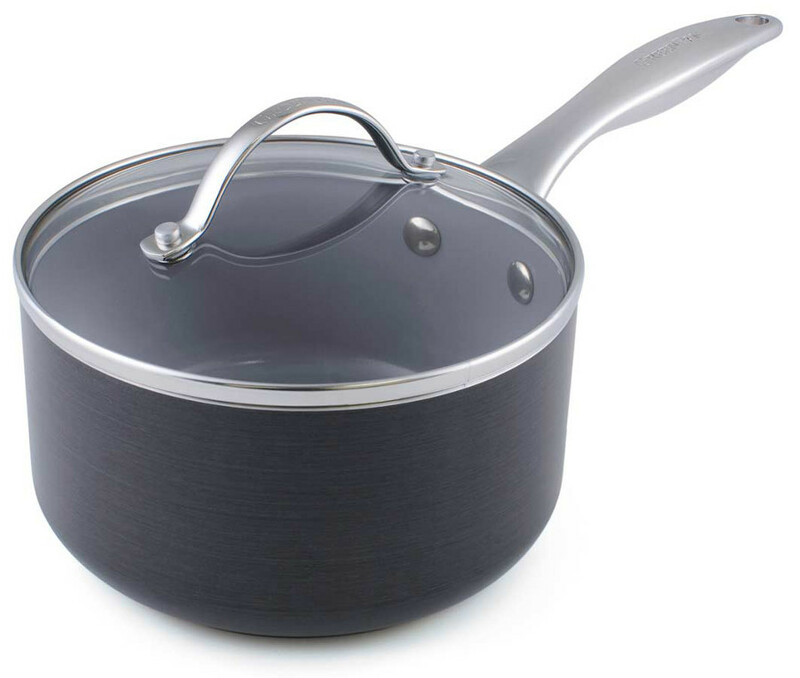 The GreenPan Venice Induction Covered Saucepan - 18cm product ethics are indicated below. To learn more about these product ethics and to see related products, follow the links below. 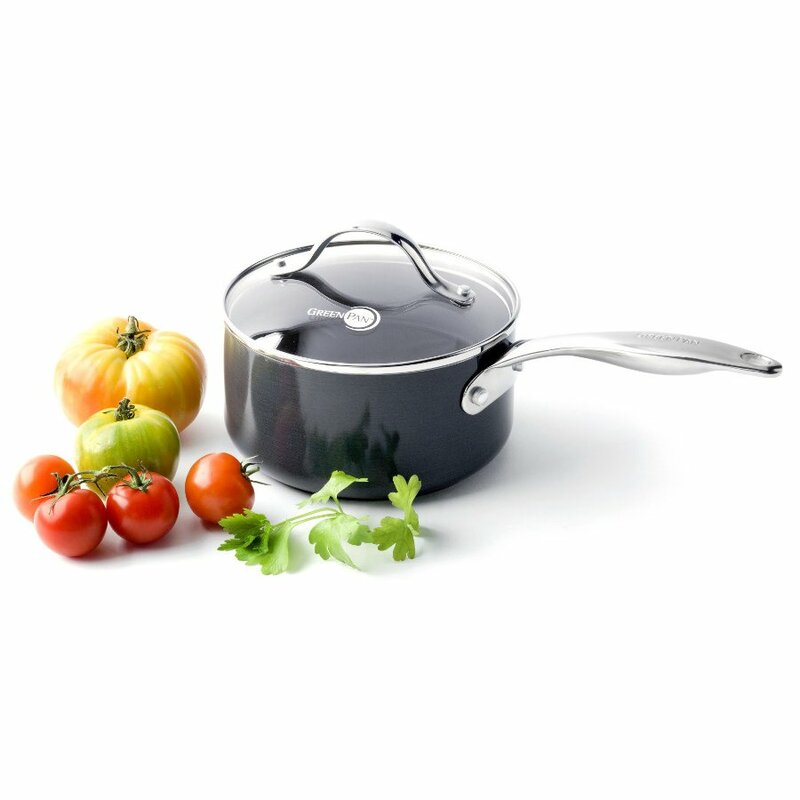 There are currently no questions to display about GreenPan Venice Induction Covered Saucepan - 18cm.